Chancel choir sings at the 11:00 service. Chancel and Matins Choirs combine for festival Sundays and services throughout the year and for special concert events. The choir focuses on general music skills including singing and rhythm instruments. 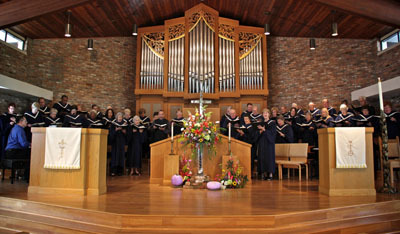 The choir also focuses on worship skills. The bell choir periodically performs for both services.